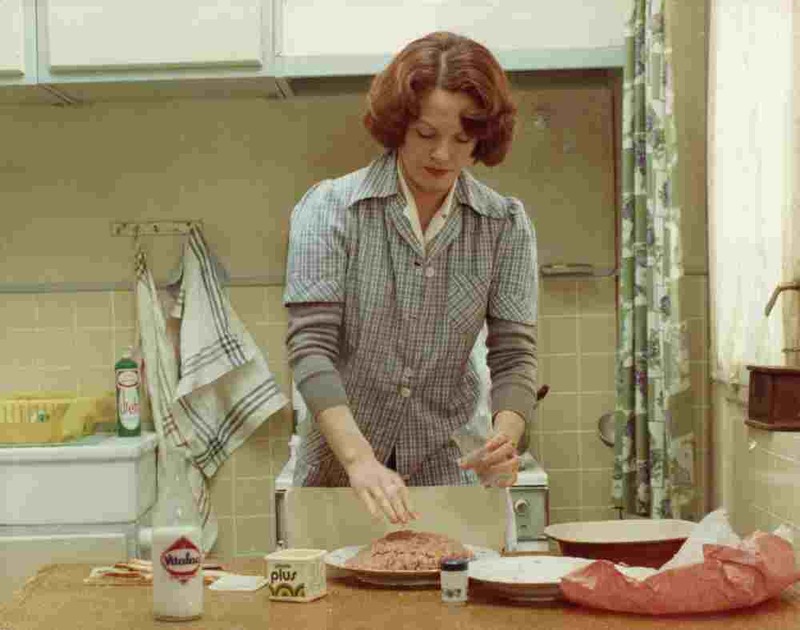 Delphine Seyrig in "Jeanne Dielman"
The 40th edition of the Créteil International Women's film festival opened on March 9 for a 10-day run. Guest of honor is the German director Margarethe von Trotta whose films have been extremely important to feminists and have screened at Créteil in the past years - such as The Lost Honor of Katharina Blum  (1975) with co-director Volker Schlöndorff , The Second Awakening of Christa Klages  (1978), Marianne & Juliane  (1981). Rosa Luxemburg (1986) wasn nominated for a Palme d’Or and winner of the best actress award for Barbara Sukowa and Trois soeurs  (1988) was also nominated for the Palme d’Or. More recent films by von Trotta include Rosenstrasse  (2003) - and Vision (2009) - on the German nun Hildegard von Bingen. Her most recent film  Hannah Arendt  (2012) is about the political theorist. Both von Bingen and Hanna Arendt were played by Barbara Sukowa. At the Cannes film festival this year von Trotta will present a documentary on the Swedish director Ingmar Bergman but in an entirely different light. Von Trotta’s films have strong female characters and provocative political content in the aftermath of the Nazi regime in Germany. She was on hand for a Master Class, and present at several screenings of her films. Some of the other highlights of the festival include an homage to the late Lebanese- French actress Delphine Seyrig. Together with Carole Roussopoulos she made Sois belle et tais-toi  (Be Pretty and Shut Up) in 1976. The film archived at the Simone de Beauvoir Audiovisual center in Paris was shot on 16mm film with handwritten credits and dubbing of English language speakers. It has not been digitally remastered, so its date is directly experienced. However, Seyrig interviewed 26 actresses on working in film - including Jane Fonda, Ellen Burstyn, Maria Schneider and Warhol actress Viva. They reveal how the conditions for women in the industry predates the activism in Hollywood today – Schneider revealed how when making Last Tango in Paris (1971) that Bernardo Bertolucci was not interested in her other than her physical attire and planned the film solely with Marlon Brando. This information predates the recent media frenzy about the film and Bertolucci's secret planning with scenes with Brando that excluded Maria – but she told the story all along and no one listened to her in corporate media. Roussopoulos and Seyrig also worked on the French version of the SCUM manifesto by Valerie Solanas where Roussopoulos dictates the text and Seyrig types - both wearing bandanas. 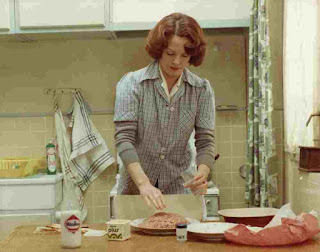 Seyrig has been featured in many important art house films such as the famous Jeanne Dielman in 1975 by the late Chantal Akerman, India Song by Marguerite Duras (1977). Freak Orlando in 1981, and Johanna D'Arc of Mongolia  (from 1988) were both by Ulrike Ottinger. The opening night film was Marlina the Murderer in Four Acts,  directed by Mouly Surya from Indonésia (2017) about a young woman living on an Indonesian island raising cattle. She is visited by bandits who assault her, but plans a brutal revenge. Marsha Timothy won best actress at the Sitges Film Festival in Germany last year for her daring role. Also of interest at the festival was the Polish film Birds are Singing in Kigali by Joanna Kos-Krauze and Krzysztof Krauze (2017). Krzysztof Krauze died in 2014 and his wife Joanna finished this amazing film built around the Rwanda genocide of 1994. A Polish ornithologist is in the country at the time and rescues a Rwandan woman whose family has been massacred - Ann Keller Jowita Budnik and Claudine Mugambira played by Elaine Umuhire. Their re-entry in Poland is wrought with turmoil and painful memories. The cinematography, elliptical editing and non- linearity make this one of the best films of 2017. Another film of special mention at the festival is the documentary Orione by Toia Bonino from Argentina- which won first prize at the Buenos Aires International Festival of Independent Cinema. This is a fragmented document about Alejandro "Ale" Robles , a young gang member shot to death by the police, whose life is retold in a mosaic of images . His mother tells part of the story while making several luscious cakes. Next week more from Créteil.